I know from experience the challenge of SMB freight. It can be tough to keep freight rates down for both LTL and truckload freight. Before I opened LTL Freight Center in 2008, I ran a small business owner that imported and sold bikes and ATVs. I clearly remember the challenges of shipping, especially negotiating lower freight rates with common carriers. Frankly, it was a hassle to keep rates low to maintain profit margins. It’s a challenge many SMBs continue to face. And it makes it tough to compete with larger enterprises. That’s why I recommend SMBs look to third party logistics partners (3PL) for their freight needs. A good 3PL will save an SMB both money and time. Here’s a few ways they do it. A 3PL partners with dozens or more carriers. This gives them the coverage and the services they need. It also leverages volume to keep rates low and avoid general rate increases. It’s an easy way for an SMB to get carriers to bid on the freight business. For example, our SMB freight customers make one call (or send one email!) and get multiple freight quotes for their shipment. All they need to do is choose the service and price that best fits their need. In short, a 3PL evens the playing field for SMB freight costs. It gives a the smaller business the leverage their enterprise competitors enjoy. By definition, an SMB simply doesn’t have a full logistics department. Many have one, two or three shipping guys or gals who run around with their hair on fire getting quotes, tracking, following up and problem-solving. When an SMB partners with a 3PL, it’s like adding an enterprise-level logistics department to the staff. Now, partnership doesn’t necessarily mean a contract is in place. Many of our customer’s don’t have contracts. The PL partner enables everyone in the company to return their focus to the most important person in the business – their customer. The 3PL organizes the details so the SMB team simply needs to make decisions. It’s really that simple. A 3PL eliminates the need to scramble to find a carrier for a special need. With so many carriers in the database, the answer is always a phone call away. That goes for freight going to a new location. Or maybe a new product or a shipment requires a special type of service. It could even be a cost consideration. Sometimes a big LTL load may be better off shipped partial truckload rather instead. 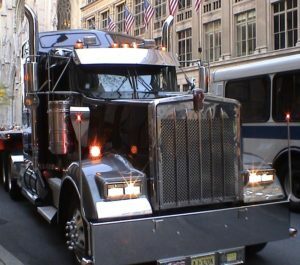 In many cases, partial truckload can save money. It definitely saves time. You can read more about partial truckload services here. For a small business that ships often, an annual logistics analysis is a must. It’s a way to uncover potential cost savings. Common areas where we find savings include rates based on destinations and claims. Many businesses do not have the staff to perform a complete freight audit. A 3PL partner does. With the information uncovered in a freight audit, a 3PL can work with a small business to strategize and create a budget-friendly shipping plan. We do this all the time for our clients. If you’d like to learn more, click here.